Ignatius Donnelly was the author of the book, Atlantis: The Antediluvian World, which was published in 1882. I remember reading this book in 1969, and being fascinated by the concept of a lost continent hidden somewhere beneath today’s oceans. While Atlantis is yet to be found, researchers have reported finding extensive continental landmasses beneath the waters of the South Pacific and Indian Oceans. 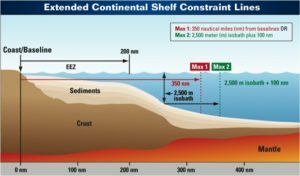 Let’s take a look at these two mostly submerged continents and how improved knowledge of their subsea geography and geology can affect the definition of sovereign maritime zones. 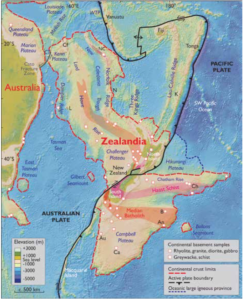 In a 2016 paper entitled, “Zealandia: Earth’s Hidden Continent,” the authors, N. Mortimer, et al., reported on finding a submerged, coherent (i.e., not a collection of continental fragments) continental landmass about the size of India, located in the South Pacific Ocean off the eastern coast of Australia and generally centered on New Zealand. The extent of Zealandia is shown in the following map. The authors claim that Zealandia is the seventh largest continental landmass, the youngest, and thinnest. While they also claim it is the “most submerged,” that claim may have been eclipsed by the discovery of another continental landmass in the Indian Ocean. The ages of the zircon samples were determined using U-Pb (uranium-lead) dating. 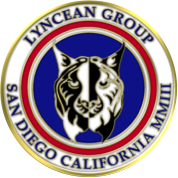 This dating technique is particularly effective with zircons, which originally contain uranium and thorium, but no lead. The lead content of a present-day zircon is attributed to uranium and thorium radioactive decay that has occurred since the zircon was formed. 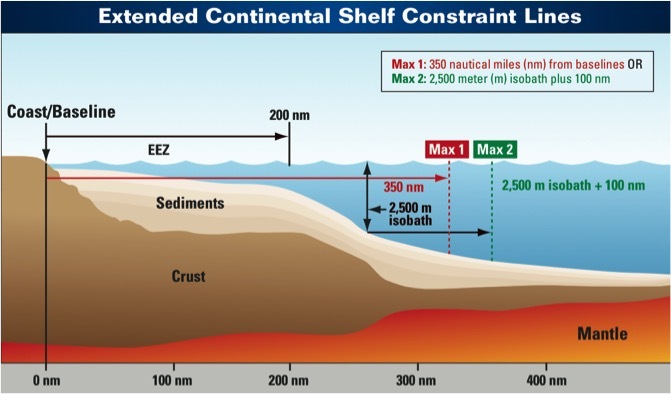 The authors also used gravity data inversion (a technique to extract 3-D structural details from gravity survey data) to map crustal thicknesses in their areas of interest in the Indian Ocean. 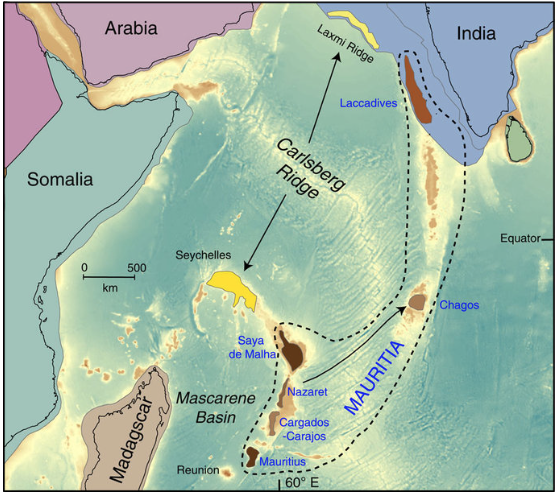 Starting about 85 million years ago, the authors suggest that the former contiguous continental landmass of Mauritia was “fragmented into a ribbon-like configuration because of a series of mid-ocean ridge jumps,” associated with various tectonic and volcanic events. 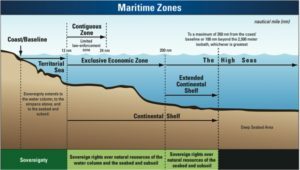 The UN Convention on the Law of the Sea (UNCLOS) provides the basic framework whereby nations define their territorial sea, contiguous zone, and exclusive economic zone (EEZ). 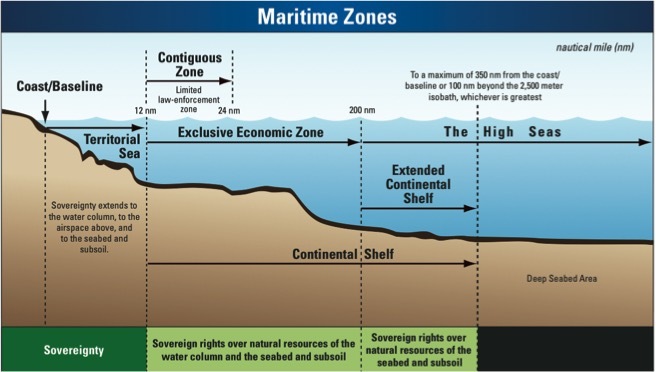 These maritime zones are depicted below. UNCLOS Article 76 defines the basis whereby a nation can claim an extended territorial sea by demonstrating an “extended continental shelf,” using one of two methods: formula lines or constraint lines. These options are defined below. 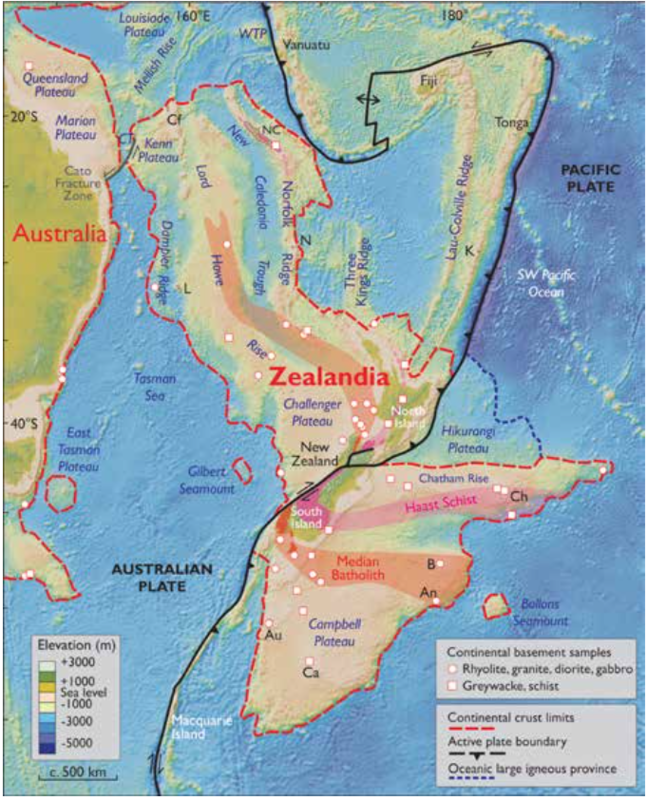 The recent definitions of the mostly submerged continents of Zealandia and Mauritia greatly improve our understanding of how our planet evolved from a supercontinent in a global sea to the distributed landmasses in multiple oceans we know today. 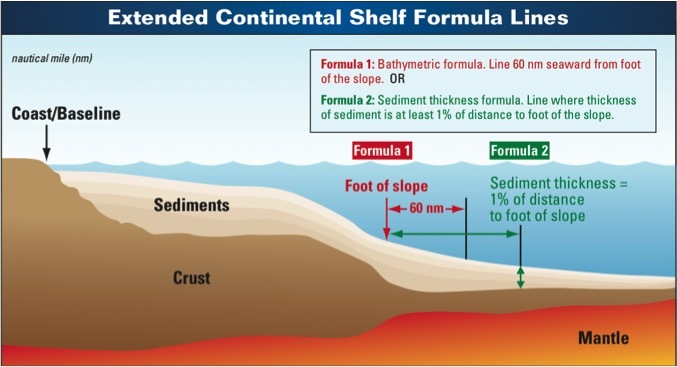 Beyond the obvious scientific interest, improved knowledge of subsea geography and geology can give a nation the technical basis for claiming a continental shelf extension that expands their EEZ. The new data on Zealandia and Mauritia postdate the UNCLOS Article 76 applications by New Zealand, Seychelles and Mauritius, which already have been resolved. It will be interesting to see if these nations use the new research findings on Zealandia and Mauritia to file new Article 76 applications with broader claims.